Description: Babies are so adorable! These cute toddlers need you to decorate their nursery with toys, mobiles and plants. Next, you'll get to choose your favorite little girl and dress her. 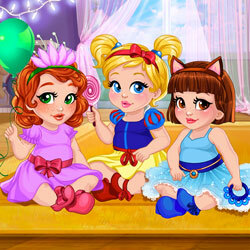 Finally, her friends will appear, wearing their own style choices, so they can have a fun playdate!